Vacuum Cleaner Repair, Sales, and Service. Gator Vacuum & Sewing Co. 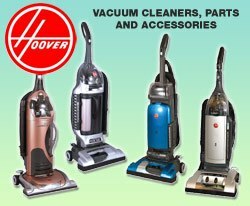 Repairs all vacuum makes & models. Let Gator Vacuum Repair Your Existing Central Vacuum System. With a history that begins from the start of the 19th century, Electrolux created their first vacuum cleaner in 1912. The company was originally Lux AB and in 1919 merged with Svenska Elektron AB to create Elektrolux. The modern spelling, Electrolux, was made official in 1957. Need Service Today On Your Vacuum? Poor Suction? Your Not Turning On? Burn Smells? 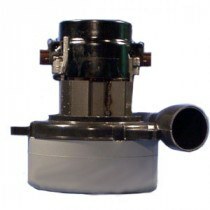 Gator Vacuum sells every part and accessory required to repair your central vacuum system!. 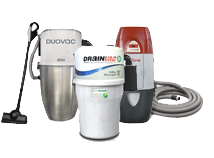 We have one of the largest selections of Central Vacuums, Household Vacuums, Commercial Vacuums and Backpack Vacuums. Today, Electrolux is a multinational appliance manufacturer that produces everything from vacuum cleaners to kitchen and laundry appliances. Electrolux has a wide line of brand names that are part of its corporate family including Eureka, Sanitaire, and Frigidaire to name a few. Electrolux SC380B 650 AirWatts, up to 5,000 Sq. Ft.
Electrolux PU3650B 600 AirWatts, up to 7,500 Sq. Ft.
Electrolux PU3900C 640 AirWatts, up to 10,000 Sq. Ft.
What are the Reasons I should buy an Electrolux Central Vacuum Unit? Double Filtration: Electrolux central vacuum cleaner systems consist of a double filtration system. The system consists of GORE-TEX™ self-cleaning filters, which ensures that you will never require a paper bag. The second type of filtration is enabled by the use of HEPA filter, which will purify indoor air 99.97% and then go ahead and diffuse it through its soft air diffusion system. It will thus completely eliminate the need for exhausting outside. The double filtration system ensures that you get clean air year after year and thus enjoy a healthy indoor environment. HEPA MicroSeal™ Fresh Air Technology: HEPA is known as High-Efficiency Particulate Arresting. 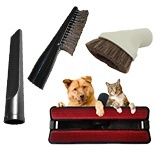 HEPA filters are normally used in vacuum cleaners to ensure the removal of fine dust particles. The HEPA MicroSeal™ Fresh Air technology is being used by Electrolux in their vacuum cleaners to ensure clean and healthy indoor air. HEPA MicroSeal™ Fresh Air technology ensures your home is rid of allergy and asthma and related medical conditions. HEPA filtration technology is able to stop mold spores with ease. It can also stop the growth of several harmful bacteria and viruses within your home. Electrolux vacuum cleaners using HEPA MicroSeal™ Fresh Air technology which guarantees a minimum of 99.97% efficiency when it comes to removing dust particles of 0.3 microns in diameter from the indoor air at your home. Cleaning Set: The Electrolux central vacuum cleaner systems are available with a cleaning set that consists of cleaning tools, 9, 10 or 12m hose, 3-position control switch, an active pick-up tool for cleaning different types of surfaces, three different speeds, crevice tool, wire hanger, dusting brush, and upholstery brush. The active pick-up tool is a valuable addition as it can adjust the airflow automatically for different types of floors like hardwood floors, soft carpet floor, etc. 2-Year Limited Warranty: This warranty is applicable to all new and factory refurbished Electrolux vacuum cleaners. The Electrolux vacuum cleaners are warranted to be free of any or all defects in workmanship and material. The warranty on an Electrolux vacuum cleaner to be used in a household is two years. The Electrolux warranty is applicable to the original purchaser as well as members of their immediate household. The warranty does not cover specific parts of the vacuum cleaner like disposable dust bags, filters, fans, drive belts, brush roll bristles, and light bulbs. In order to obtain the warranty service, you will need to return your defective cleaner or cleaner parts along with a proof of purchase to an Electrolux Authorized Warranty Station. Convenient Installation: All Electrolux central vacuum cleaners are convenient to install. The slim profile of the vacuum cleaner helps it to fit into tight corners as well. Electrolux vacuum cleaner are one of the best in the world and are definitely much above the standard cleaners when it comes to quality and power. Built in central vacuums are our specialty. We sell, service & repair all makes and models. Same day service – call us!. Our professionals have the experience to repair your sewing machine problems quickly and inexpensively. We service and repair all household vacuums as well as commercial vacuum cleaners. We repair them all. Gator Vacuum was established in 1989 in Coral Springs, FL by Robert Buckwald. Having been born into the vacuum business and taught by his father Arnold, who owned several high volume vacuum stores in Brooklyn NY in the 1960's, he already had a head start in the industry at such a young age. Coral Springs, Coconut Creek, Cooper City, Davie, Fort Lauderdale, Hallandale Beach, Hillsboro Beach, Hollywood, Lauderdale Lakes, Lauderdale-by-the-sea, Lauderhill, Lighthouse Point, Margate, North Lauderdale, Oakland Park, Parkland, Pembroke Pines, Plantation, Pompano, Southwest Ranches, Sunrise, Tamarac, Weston, & Wilton Manors. Boca Raton, Boynton Beach, Deerfield Beach, Delray Beach, Lake Worth,, Wellington, & West Palm Beach . All products, companies, brands, trademarks and logos are property of their respective copyright owners. No companies listed on GatorVacuum are sponsoring or affiliated with us. Canot be combined with other offers. Sign up now to be the first to hear about our promotions, specials and coupons.